The New York Times reports the authorities are looking into “possible mail, wire and securities fraud” at Ja Rule’s ill-fated event. Photo via The FADER's Fyre Festival source. 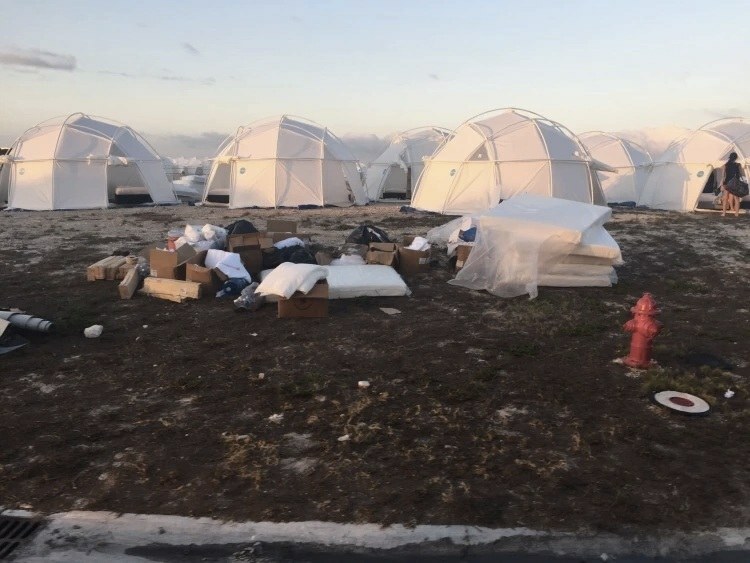 The fall out from Fyre Festival's disastrous first year continues. The event, which is currently facing at least six separate lawsuits, is now reportedly under investigation by the FBI. The New York Times reports that federal authorities are “looking into possible mail, wire and securities fraud” in an investigation led by “a prosecutor assigned to the complex frauds and cybercrime unit.” A spokesperson for the bureau declined to comment when approached by the Times. In addition to the FBI details, the article also adds that Fyre Festival headliners Blink-182 still have their equipment stuck in “customs limbo” weeks after they became the first artists to pull out of the event. Meanwhile, MaryAnn Rolle, a restaurant owner in the Bahamas, says she is owed $134,000 for providing daily meals and renting villas to the festival crew.